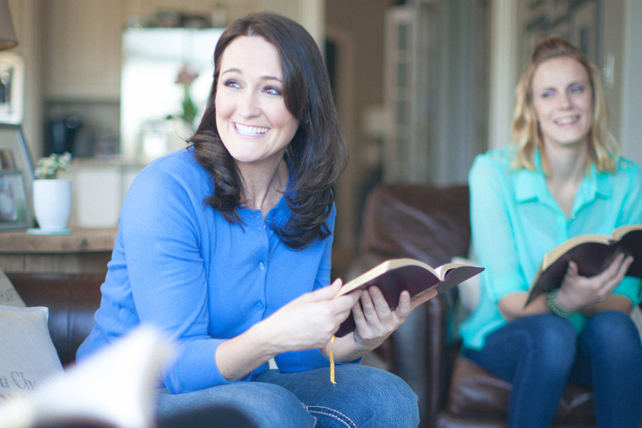 The simple act of greeting your small group with a smile can make all the difference. Do you like using the drive-thru lanes at fast food restaurants, pharmacies and banks? Not me. I avoid drive-thru lanes. But my wife uses them when possible. She loves the convenience and speed. I seem to be willing to risk marital conflict all the time by pretending the drive-through doesn’t exist. I don’t avoid them because of the frustration that bubbles up when I try to place an order through bad speakers. And just like my wife, I value convenience and speed. But I value a face-to-face interaction even more. I love to see the smile on the other person’s face. I feel better when I see another smile. Q: What do your group members see when they arrive at your gatherings? A: Make it a smile! Want an easy way to better deal with stress? Smiling improves your response to stressful situations. Trust is extremely important in a small group. Putting on a smile makes you appear more trustworthy. Why do you think before and after photos in ads usually feature a smile only in the after photo? You look more attractive when you wear a smile. You can give a boost to your appearance whenever you want. Your facial expression has the ability to influence your emotions. Smile and you can improve your mood on the spot. The good mood your smile creates results in benefits including increased creativity. This will enhance the discussions and decisions occurring in your Bible-study. Would you smile more if you knew it would extend your life? Smiling influences our longevity. This shouldn’t be a surprise since it improves things like our heart health, immunity and relationships. A University of Montpellier study showed that “smiling is a very powerful leadership technique which paves the way for the success of a leader.” Use your smile to be a better small group leader. It’s great you receive so many benefits by putting a smile on your face. But what about the ones you are greeting? Do they receive any benefits? They can have ALL of the benefits you receive. It is a bonus reason to smile. It s a natural response to smile if you see someone else smile. Greet your guests with a smile and they will return the expression and immediately be better equipped for all God has in store for them. Note: If a smile is not returned, it is not a natural response. The person is working to keep from smiling. This is a signal that something serious may be going on in their life. If this is the case, what better place to be than at a small group gathering? Question: What are some benefits you have received from smiling? How do people react to your smiles? Previous articleAre You Having an Affair With Worship Ministry?